Working at Workspace comes with a wide range of benefits. Abundant space customised to your requirement, so you have the exclusivity you need. Our lounge area is the ideal place for you to entertain and impress your most important clients. Quiet spaces for serious discussions and open spaces for socializing. For private conversations with teams, clients and all things important. From high speed internet, business class printers, tea and coffee, work spaces with ample seating and storage. Benefits like a crèche, gym, salon and restaurant are built in so you don’t have to go far to recharge or indulge. Rooftop sitting areas to relax, chat, collaborate and enjoy a warm coffee in the cool Bangalore air. 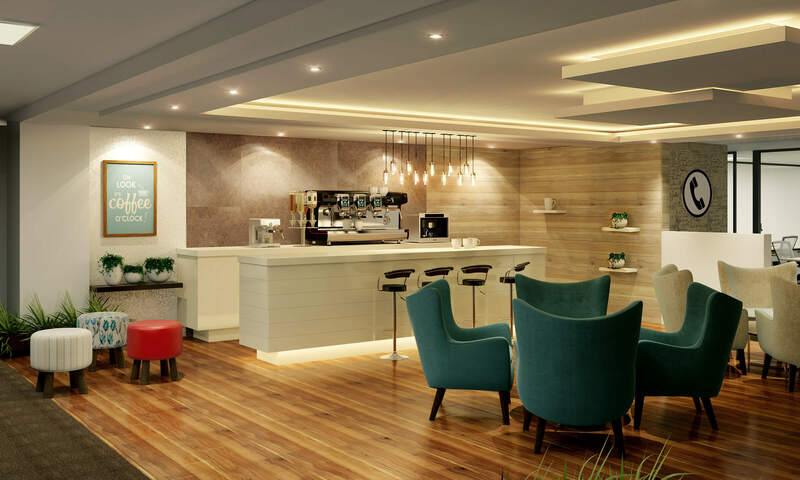 Workspace provides world class amenities such as a rooftop cafeteria, a gym, an in-house salon and a crèche area so that when you work, you work without any worries. With 1000+ workstations not only will you get to meet an interesting, diverse, community of people, but will also get to network with them, taking your company to a whole new level. We understand that you may want to work at Workspace without constraints. Our plans are flexible starting from the date you decide to work with us. You’re scaling up, hiring quickly and need space to support your large teams. You’re stepping into India, and need a world class, ready to use office space. If you’re an independent professional and work with top notch clients. When you pick any of our plans, we provide you with the best work-desk amenities available. All of these with a warm welcome of course.